Former failed basketball player Drake just kicked off a huge tour last week, and he’s playing the third of six shows in London tonight. 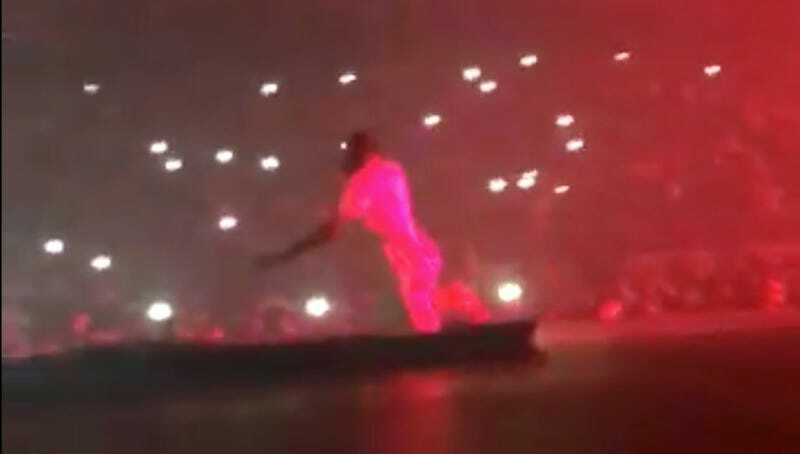 He was joined by longtime Deadspin favorite Travis Scott, who promptly forgot about a bigass hole in the middle of the stage and fell straight into it. The hole houses a huge globe that comes out at some point, but Scott apparently broke it. Perhaps this was all a scheme to get everyone free tickets. Either way, the biter ate it.